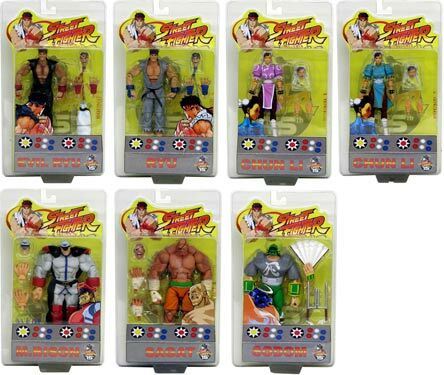 8/24/04 - With the release of Street Fighter Series 1 figures coming up quickly, SOTA Toys is announcing several alternate versions of these characters. These unique figures are variants and exclusives that will be offered for purchase around the same time as Street Fighter Series 1 figures. Many of these figures will be available by the end of September. The internet stores carrying the Evil Ryu will be announced in September. The SOTA Toys exclusives will be very limited in number, expected to be in the low hundreds and will be offered on a staggered basis from month to month through 2004.